The Tacflow Academy Team believes it is our duty to help cultivate the next generation of protectors. We have built a team of subject matter experts and progressive course developers who have dedicated their mission proven expertise to problem solving and preparing current and future men and women on the front lines for the threats they face in the world today. We work to inspire, challenge, and motivate every student who comes through our program. TACFLOW’s principal focus from 2009 to the present has been teaching law enforcement, security, and military students. Our strategic partnerships and ability to travel to the customer as Mobile Training Teams (MTT) has allowed us to have a worldwide reach, successfully bringing invaluable training directly to students that would have otherwise not been able to attend courses. What sets Tacflow apart from most other training companies is our instructors, their proprietary reality based curriculum, and their unwavering sense of duty and responsibility to share those lessons learned that could help save lives. Our team has been carefully hand selected for their varied backgrounds, expertise, and commitment to excellence. Most training companies fall into one of two models- those who are friends in the service and form a business together after they get out, and those who hire random instructors off resumes to fill contracts in a plug-and-play scenario. We do neither. Our team is comprised of operators who not only have remarkable resumes individually, but their teaching style and progressive mentality ensures that every course taught under the Tacflow banner will be of the highest caliber. You will never leave feeling like you just took yet another course that regurgitated the same information in a different package. Even our basic courses delve into the human behavior behind why we shoot or move a certain way, allowing the student to fully understand and build upon fundamentals once they leave. 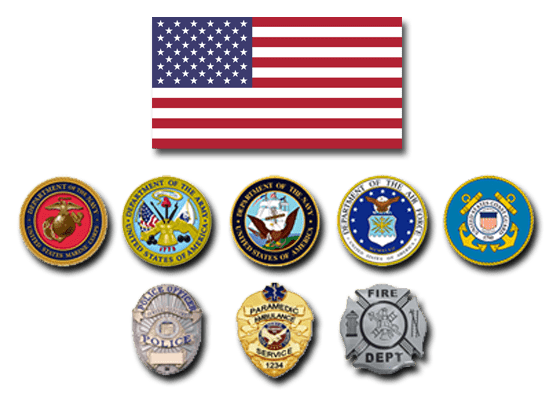 To date, our team has trained law enforcement officers and military personnel from well over 200 agencies at home and abroad, not including the hundreds more who attended association conference training blocks and speaking events. We provided the full Super Bowl 2016 prep training for all the local and federal officers who were on site to provide emergency support, and we run one of the largest law enforcement sniper training and competitions in the country every year- SniperFest. Our curriculum vary from our Police Sniper Response to a Public Venue, to 50 Cal Operator/ Instructor Courses, Under Cover Combative Transitions to Your Firearms, Aerial Platform for Law Enforcement, Entry Team Concepts, and more. We are regularly scheduled to teach or present at Law Enforcement conferences throughout the country, most recently having several blocks at the 2017 National Tactical Officers Association- Tactical Operations Conference. In recent years we have expanded our offerings to include courses open to all law abiding citizens. Our Open Enrollment courses focus on real world situations and understanding human behavior. They are taught from the standpoint of an armed or unarmed individual by the same top level instructors as our profession specific courses, but focus on the responsibilities and priority of life of the average citizen, shooting fundamentals, combat sport science and efficiency of movement. Tacflow Academy was founded in 2009 by Rigo Durazo, who is still the acting Director of Training. Rigo has over 20 years’ experience in the global security field, specializing in low signature protection in some of the most remote regions of the world. Through his students in the law enforcement community, Rigo developed a friendship with then Chief Chris Kyle, USN/SEAL while he was teaching at the McMillan Sniper School in Arizona. When Kyle saw that Rigo taught true violence, and not the usual martial arts sport applications, he told him he was doing his country a disservice by not sharing. He invited Rigo to join Craft International, LLC, inclusive of some of the most highly qualified experts/operators in their respective crafts. From 2009 to 2014, Tacflow served as the exclusive CQC training partner of Craft. Together, we worked to deliver progressive training while fulfilling the company mission statement- to serve those who serve us by providing the highest quality training to our nation’s military and law enforcement communities. After the passing of Chris, Craft ceased to take on new business. The training team he helped to recruit and mentor chose to move forward under one roof as one team- TACFLOW Academy. While our team has grown over the years to include instructors who were not part of the original Craft team, we still hold true to the vision and original mission that brought us together all those years ago. We are devoted to continuing the legacy of helping build the next generation of modern warriors by sharing our knowledge, experiences, lessons learned, and always searching for ways to better prepare them for missions, and transitioning back home. 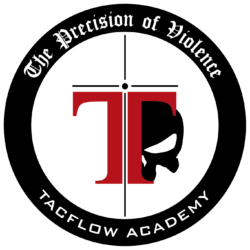 In early 2009, when Tacflow Academy partnered with Craft International, LLC as their exclusive close quarter combat provider, we merged our logos as a sign of solidarity. The shared “T” was a cross with crosshairs, which was designed by Chris and the former Craft CEO to represent the faith and mission of the founders. The Craft Skull Logo combined several meaningful pieces from Chris’s past. Watch him explain them himself in the video taken by our friends at Center Mass during the 2010 Annual National Patrol Rifle Conference. After Chris passed, and the decision was made to close down Craft International, LLC, the team worked together to build a logo that was symbolic of our unity & dedication moving forward. We kept the T with the crosshairs that we had proudly shared for over 5 years, and added a piece of the skull peaking from behind. The inclusion of the skull is a reminder of where we came from, and that Chris will always be watching over us. “The Precision of Violence” is both what we teach, as well as what to prepare for. To be precise under chaos and to be able to read the intent of violence through minute indicators are skills we aim to teach in every class we produce.